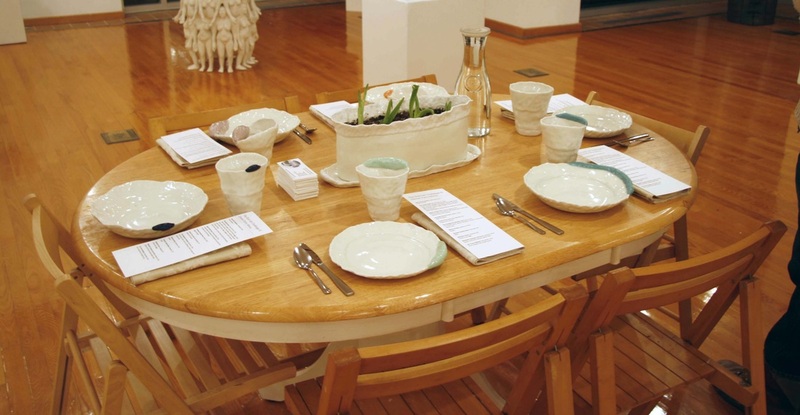 I designed The Dish Set Challenge III in an effort to engage the community beyond the walls of the gallery in a group exhibition at Pearl Conard Art Gallery at The Ohio State University Mansfield. It brought together a group of six people who committed to eating and drinking from an individualized dish set for twenty-eight days. The participants included Belinda Fluker, Aurelio Villa Luna Diaz, Keith Karchella, Violeta Chinni, Jennifer Lucas Kaufman, and myself. 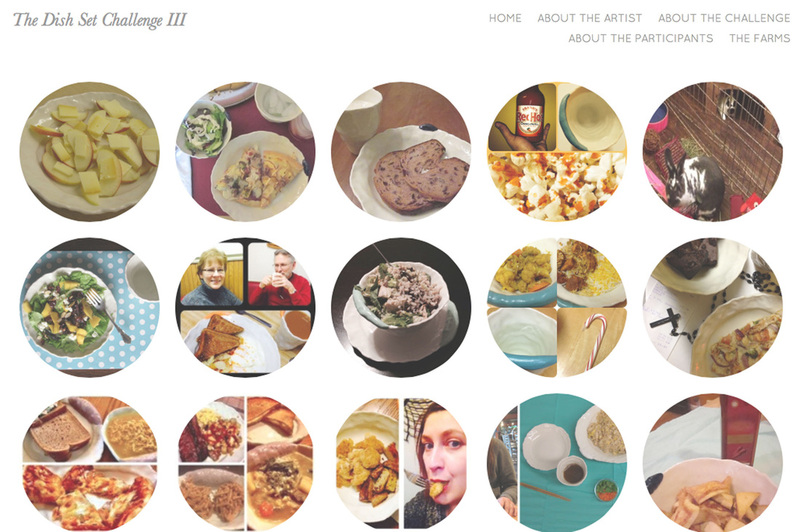 Before the challenge began, I interviewed the participants, in an effort to get to know them, inquiring about: food choices, eating habits, color preferences, and why they decided to join the project. The responses brought to light the challenges and possible benefit of participation. One individual expressed interest in the project, “because I liked the idea of slowing down in this busy life to enjoy a meal in a traditional manner” and another “I need to be inspired, cooking and eating food are some of my favorite pastimes.” The information that came from each individual impacted the dish set design and color palette selected for each participant. 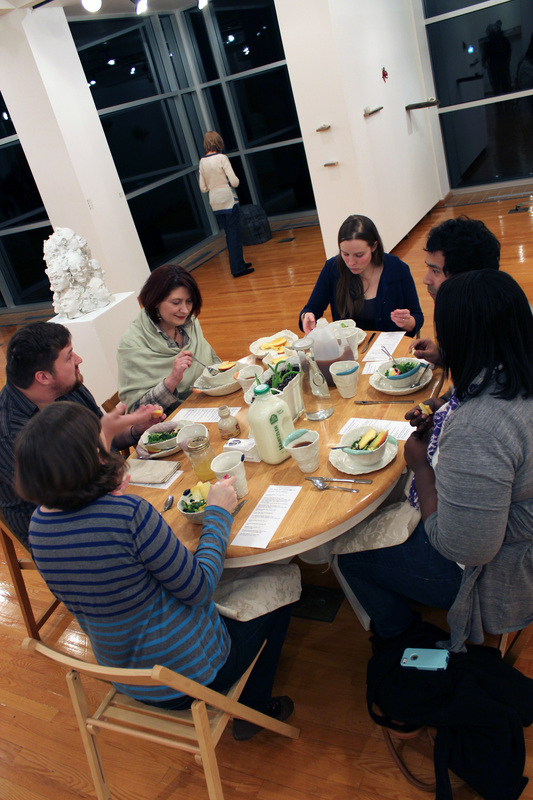 The project began with a group meal in the gallery during the opening reception. The first meal served as an opportunity to bring awareness to local food production in Mansfield, Ohio. 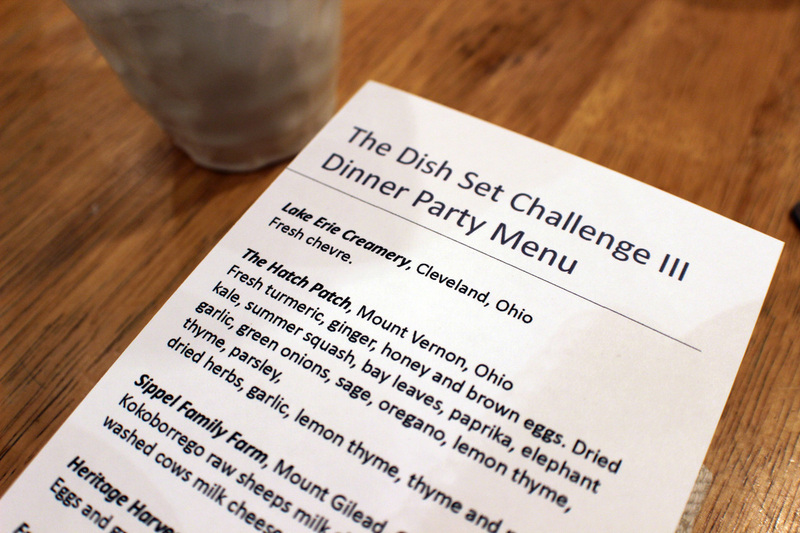 The dinner menu was built around the foods I was able to collected from local farms and businesses in January. Using basic ingredients the dishes were simple and unique. 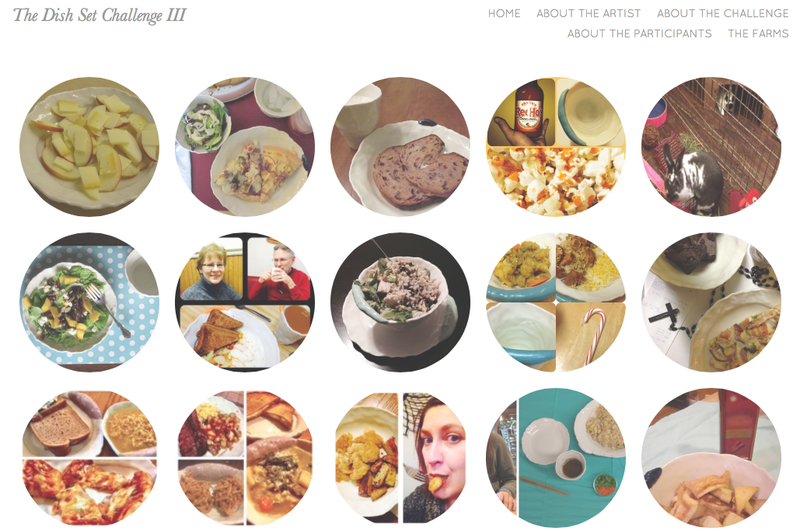 My goal was to establish a connection between the place, people, and food that was consumed. The remaining 27 days each participant committed to eat from their dish set for one meal a day. The vessel brought attention to personal food choices and required the participants to consider the food they chose to eat and how it fit on the dishes. The first comment I received from one of the participants was, “It is going to be very hard to eat McDonald’s from this plate.” This remark makes clear that there is significance in how one views food choices, when there is consideration for the context, in which it will be consumed. This means, that McDonald’s has made it easy for us to consume food without plates, utensils, or even sitting down. We have stepped away from the table and using fragile dishes might even make us uncomfortable. The Dish Set Challenge III was not aimed to change the participants’ eating habits but to record what they ate. Yet, in the process of eating and recording change began evident. These changes lead me to better understand the power of the vessel to bring attention back to what we eat, where the food comes from, and how we chose to eat it. This project allowed a community of people to band together in a virtual space to share, create, reflect, and to eat together. On an individual level the project was challenging in different ways. Through the online blog a positive support structure was created providing a safe environment to be honest about the struggle, achievements, and all the in-between. Since this project happened in real-time during the gallery exhibition the blog is all that remains as a story put forth by each participant during the project. The story unfolds as each participant draw attention back to mealtime, considering what they were eating, and what it was served on. 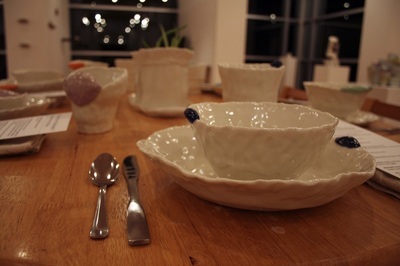 The beginning struggle of remembering to use the dish set transitioned into a connection that formed between each participant and their set, something that can never be broken even if someday the dishes cease to be in physical space. I had not anticipated was how close the group would grow together during the project. At the start some people knew each other and others did not. Through this month long journey so many friendships were formed and genuine concern was shown between participants. The friendship formed on a digital platform but went far beyond it. I was amazed when the Dish Set Challengers decided to get together for a meal in the middle of the project. Concluding the project I was left wondering: what does it mean to share a meal? Why should we share meals? 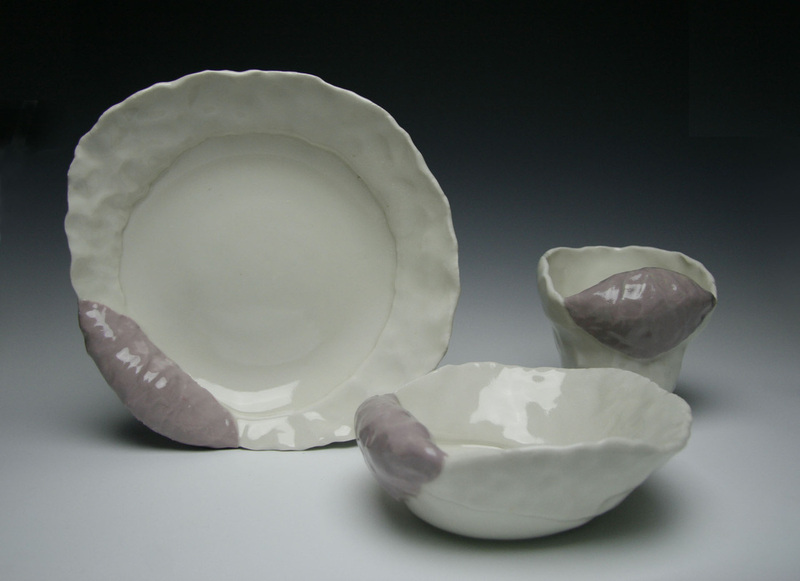 How does the ceramic vessel impact eating, food choices, and where you eat? The project is available online at dishsetchallenge.wordpress.com.